Washington /PRNewswire / - Three North American industrial plants that recently deployed energy management systems (EnMS) are highlighted in new case studies from the Global Superior Energy Performance (GSEP) Energy Management Working Group (EMWG). These latest entries in the growing GSEP series explain how two Canadian plants, IBM and Lincoln Electric, and one U.S. plant, HARBEC, Inc., deployed ISO-compliant systems to manage their energy more efficiently while boosting competitiveness. GSEP, an initiative of the Clean Energy Ministerial, publishes the series in an effort to improve energy efficiency and mitigate carbon emissions around the globe. 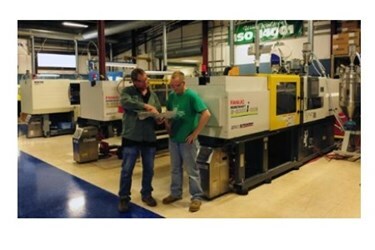 HARBEC, Inc. improved the energy performance of its specialty plastics manufacturing plant in upstate New York by 16.5%, primarily by managing its combined heat and power unit more efficiently. The plant's verified conformance with the international energy management standard ISO 50001 and its sustained improvements in energy performance earned HARBEC Platinum certification from the U.S. Superior Energy Performance (SEP) program, administered through the U.S. Department of Energy. View HARBEC Inc. case study. The USD$127,000 invested to implement SEP was paid back by the resulting operational energy cost savings within 2.4 years. The EnMS now saves the plant 6 billion Btu (6,300 gigajoules) annually and lowers energy costs by USD$52,000 each year at prevailing energy prices. HARBEC's real-time automated system continuously monitors plant equipment to sustain and continuously improve energy performance. "Superior Energy Performance has provided us with a legitimate management system and a set of tools to identify energy opportunities and track their level of success," said Jeff Eisenhauer, energy manager at HARBEC. IBM implemented an EnMS at its manufacturing facility in Bromont, Quebec, which helped it to reduce energy consumption by 9.2% and save CAD$550,000 in 2013. The savings came from 36 energy efficiency projects implemented as part of the EnMS. Tool modifications generated approximately 27% of the savings, while heating, ventilation, and air conditioning and exhaust reduction projects generated the other 73%. Equipment throughout the plant is now monitored using dashboards that show real-time energy use. View IBM case study. With the support of Natural Resources Canada (NRCan), IBM Bromont was certified for conformance with CAN/CSA ISO 50001 in 2013. NRCan's Canadian Industry Program for Energy Conservation provided plant staff with various energy conservation tools and services that assisted with EnMS development and certification. Lincoln Electric became CAN/CSA ISO 50001 certified after implementing an EnMS at its facility in Toronto, Ontario, which manufactures steel welding wire and industrial diesel-driven DC generator welding machines. With the help of NRCan, Lincoln Electric developed an EnMS that reduced the facility's energy consumption by 22% in 2013. View Lincoln Electric case study. Plant management was initially interested in an EnMS as a means to maintain competitiveness and reduce risks associated with volatile energy prices. The company learned that its successful EnMS implementation owes much to its corporate culture that actively encourages the identification of energy improvements and conservation measures. The plant expects its EnMS to lead to continuous improvement in overall plant energy consumption. These three case studies, along with other EnMS case studies and resources, are available through the GSEP EMWG website at www.cleanenergyministerial.org/EnergyManagement. GSEP aims to significantly cut global energy use by encouraging the industrial and commercial buildings sectors to continually improve their energy efficiency. GSEP's Energy Management Working Group (EMWG) seeks to accelerate broad EnMS use in industry and commercial buildings worldwide. The EMWG's 11 member countries share their knowledge and expertise, strategies, and best practices. The governments participating in the EMWG are Australia, Canada, Denmark, the European Commission, India, Japan,Mexico, the Republic of Korea, South Africa, Sweden, and the United States. The GSEP initiative was launched in 2010 by the Clean Energy Ministerial and the International Partnership for Energy Efficiency Cooperation. News distributed by PR Newswire iReach: https://ireach.prnewswire.com.